Why you need a compliance expert on your board. What does the ideal Board look like? There’s no shortage of ideas online about the ideal composition. Some – like this article from Investopedia – look at the ideal mix of company ‘insiders’ and ‘independent’ members. Others explore the optimal number of members, like this one by Real Business. How are most boards made up? This makes a lot of sense, of course. A lot of their responsibility is financial – they’re accountable to the company’s shareholders and stakeholders. But there are undoubtedly other skills or areas of expertise that would be beneficial to add. In this blog Perivan Technology look at calls for Marketing to have a place on the Board. Here we explore why compliance expertise is increasingly being recognised as something that should also be represented. Why do you need Compliance expertise? Good governance is getting more and more important. It’s an increasing focus of governments and regulators the world over. The global financial crisis of 2008 and beyond has led policy-makers to appreciate the benefits of good ethics. Not just a nice-to-have or a sop to corporate social responsibility, solid governance has been seen to provide a firm foundation for successful operations. If compliance understanding is lacking from the decision-making levels of an organisation, those decisions will not be taken in the full knowledge of their implications. But including this experience means everything you discuss is approached through the lens of good governance. It means that potential regulatory or ethical pitfalls are identified early – and flagged so that they can inform decisions. And as well as materially affecting decisions, having a compliance expert on your Board signals a very public intent – that your organisation is determined to act in an ethical and lawful way. The composition of the Board is valuable shorthand for your organisation’s priorities. The Office of Inspector General (OIG), an arm of the US government, recognised this in its publication Practical Guidance for Health Care Governing Boards, saying that having a governance professional as a member ‘sends a strong message about the organization’s commitment to compliance’. Can another member fill this gap? 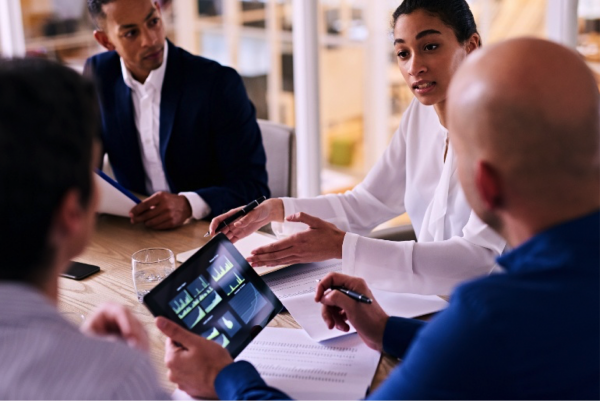 When questioned about governance expertise at their highest levels, many businesses argue that this is represented via other professionals – lawyers, auditors or similar. But none of these people has compliance as their raison d’etre, or their core area of knowledge. While they may have an understanding of ethical considerations, they will not be fully versed in the regulatory requirements – or the implications of failure to comply. Someone with specific and in-depth proficiency in corporate governance will approach ethical questions from a different perspective than someone whose role just touches on it. We have talked before about the need for companies to build a culture of compliance – an environment where ethical behaviour is embedded throughout the organisation. There’s no doubt that having a compliance professional on your Board will move on leaps and bounds towards this goal. It’s a move worth considering as we head into 2017. You can read more tips for embedding a compliance culture into your organisation by reading Perivan Technology’s whitepaper. It’s free and you can download a copy here.